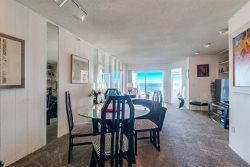 Visit this fabulous two bedroom and two bath ocean front condo in North Mission Beach that you're sure to adore! Enjoy lounging in the sun on your oversized shared deck, bordered by a beach front garden with expansive ocean views! The spacious living room includes a Dutch Front Door, Wood Fireplace, Cable TV, DVD, and Wireless Internet. This home also has plenty of seating for the whole family and the deck and BBQ is perfect for a summer evening spent grilling out. The master bedroom has 1 Queen sized bed with and en-suite bathroom. The second bedroom has 2 twin sized beds with a wall to wall closet and the living room is equipped with a full size sofa sleeper. This was our third time renting Sea Strong #1 and our stay was excellent!!!!! The team is great! They are as excited as I am about returning another year! Another year going home! Everyone enjoyed the home, patio, boardwalk and Ocean! The team at Penny Realty have always been great to work with. They are friendly, professional and very easy to work with. I have stayed at Sea Strong for several years. The location is excellent. The accommodations are very good even though the property is older. I prefer this house over others I have stayed in. It was a very pleasant experience. Except for the internet and tv issues, which were resolved as quickly as possible (Thank you. ), everything was in good working order. The only thing that bothered me were the squeaking chairs on the hard floors from the upstairs level. When chairs were moved it was like being in a drum, the sound amplified. There was no sleeping when people upstairs were awake. 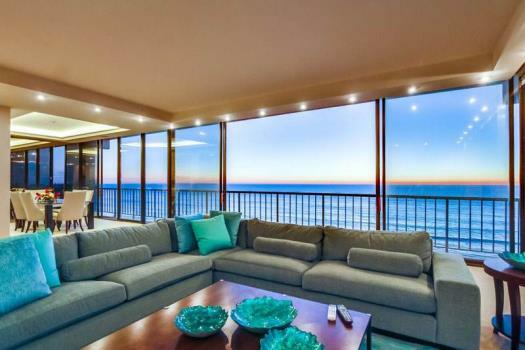 The proximity to the beach was my desire and the property fit my needs wonderfully. The cleaning people might open the drawer at the bottom of the stove to clean. Great!! Have worked with Tina the last few years she is awesome to work with!! It is our home away from home. Perfect spot for all children and grandchildren to get to from where ever their journeys have taken them. Sitting on patio, listening to waves and smelling the ocean is revitalizing. All the characters on boardwalk is an added bonus! We love the location and the owners upstairs were great.We have already booked for next year.